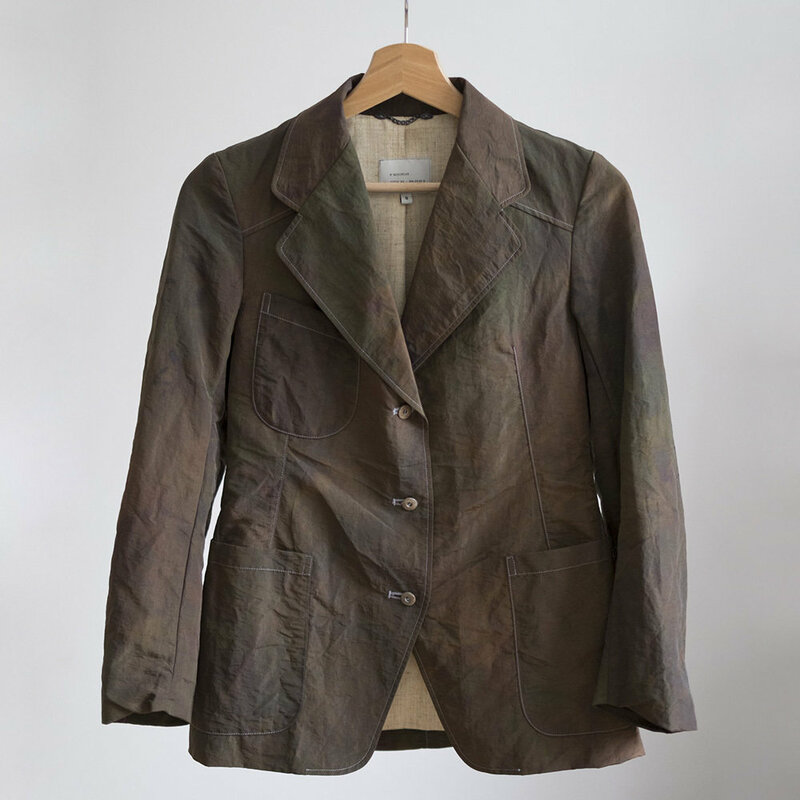 The W'menswear Worker’s Blazer has been equipped with a special tightly woven Nylon, pigmented specially using three colours to create our own jungle camouflage. Thanks to the dyeing process, every piece will have a unique character unlike any other. It's lined with beautiful hand woven Khadi cotton.